The new Brightwater Technologies sponsored Caterham R300 driven by Jon Walker featured on the BRSCC stand. This car is the first customer-supplied R300 that won the first three debut races for the R300 during the invitation races at Donington earlier this year. This includes the first outright win for the new R300 during the Eurocup pit stop invitation race. Later in the year, this car outpaced more powerful CSR’s to get 5th overall in the three hour Caterham endurance race during the Grand Prix Historique du Provence at the Paul Ricard circuit in Southern France. Also present on the Insuremotorsport.com stand was the recently built DPR Motorsport built Caterham Roadsport A that novice driver Robert Springate (age 20) piloted to sixth overall in his debut race at the Brands Hatch Formula Ford Festival round. 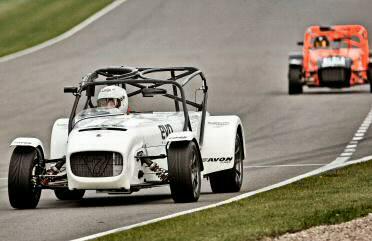 David Rowe (DPR Team Principal) said “We are pleased that two of our Caterham race cars are at the Autosport show . Our Roadsport A car is on the Insuremotorsport.com stand (2460) and the Jon Walker R300 is on the BRSCC stand. This is the first time that a Caterham has been on the BRSCC stand so this continues the 1sts achieved by this exciting new car. 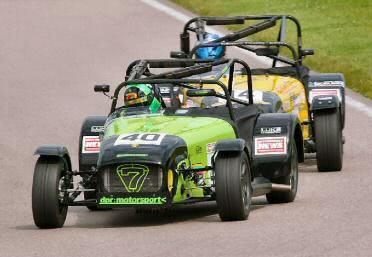 Given the challenges for motorsport in 2009, it is encouraging that both Insuremotorsport and the BRSCC have been able to support Caterham motorsport.